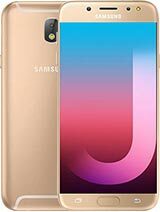 Features: 6.2" Super AMOLED display, Exynos 8895 chipset, 12 MP primary camera, 8 MP front camera, 3500 mAh battery, 128 GB storage, 6 GB RAM, Corning Gorilla Glass 5. 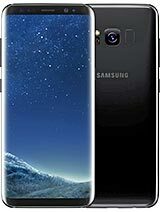 Samsung Galaxy S8 Plus, Versions: G955F (Europe, Global Single-SIM) G955FD (Global Dual-SIM) G955W (Canada) G955A (AT&T) G955P (Sprint) G955T (T-Mobile) G955V (Verizon) G955R4 (US Cellular) G955U (USA Unlocked) G955S/G955K/G955L (South Korea) G9550 (China, Versions: G955F (Europe, Global Single-SIM) G955FD (Global Dual-SIM) G955W (Canada) G955A (AT&T) G955P (Sprint) G955T (T-Mobile) G955V (Verizon) G955R4 (US Cellular) G955U (USA Unlocked) G955S/G955K/G955L (South Korea) G9550 (China). Available in India, China and Korea with 128 GB storage and 6 GB RAM. 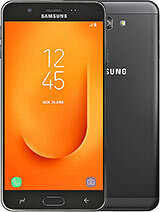 Samsung Galaxy S8 Plus., Versions: G955F (Europe, Global Single-SIM) G955FD (Global Dual-SIM) G955W (Canada) G955A (AT&T) G955P (Sprint) G955T (T-Mobile) G955V (Verizon) G955R4 (US Cellular) G955U (USA Unlocked) G955S/G955K/G955L (South Korea) G9550 (China). Available in India, China and Korea with 128 GB storage and 6 GB RAM. Samsung Galaxy S8 Plus., Versions: G955F (Europe, Global Single-SIM) G955FD (Global Dual-SIM) G955W (Canada) G955A (AT&T) G955P (Sprint) G955T (T-Mobile) G955V (Verizon) G955R4 (US Cellular) G955U (USA Unlocked) G955S/G955K/G955L (South Korea) G9550 (China). Available in India, China and Korea with 128 GB storage and 6 GB RAM. 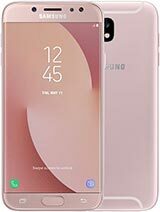 Samsung Galaxy S8 Plus., Versions: G955F (Europe, Global Single-SIM) G955FD (Global Dual-SIM) G955W (Canada) G955A (AT&T) G955P (Sprint) G955T (T-Mobile) G955V (Verizon) G955R4 (US Cellular) G955U (USA Unlocked) G955S/G955K/G955L (South Korea) G9550 (China). Available in India, China and Korea with 128 GB storage and 6 GB RAM. 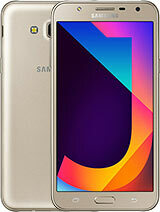 Samsung Galaxy S8 Plus., Versions: G955F (Europe, Global Single-SIM) G955FD (Global Dual-SIM) G955W (Canada) G955A (AT&T) G955P (Sprint) G955T (T-Mobile) G955V (Verizon) G955R4 (US Cellular) G955U (USA Unlocked) G955S/G955K/G955L (South Korea) G9550 (China). Available in India, China and Korea with 128 GB storage and 6 GB RAM. 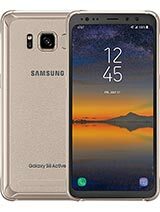 Samsung Galaxy S8 Plus., Versions: G955F (Europe, Global Single-SIM) G955FD (Global Dual-SIM) G955W (Canada) G955A (AT&T) G955P (Sprint) G955T (T-Mobile) G955V (Verizon) G955R4 (US Cellular) G955U (USA Unlocked) G955S/G955K/G955L (South Korea) G9550 (China). Available in India, China and Korea with 128 GB storage and 6 GB RAM. Samsung Galaxy S8 Plus., Versions: G955F (Europe, Global Single-SIM) G955FD (Global Dual-SIM) G955W (Canada) G955A (AT&T) G955P (Sprint) G955T (T-Mobile) G955V (Verizon) G955R4 (US Cellular) G955U (USA Unlocked) G955S/G955K/G955L (South Korea) G9550 (China). Available in India, China and Korea with 128 GB storage and 6 GB RAM. 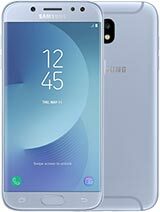 Samsung Galaxy S8 Plus., Versions: G955F (Europe, Global Single-SIM) G955FD (Global Dual-SIM) G955W (Canada) G955A (AT&T) G955P (Sprint) G955T (T-Mobile) G955V (Verizon) G955R4 (US Cellular) G955U (USA Unlocked) G955S/G955K/G955L (South Korea) G9550 (China). Available in India, China and Korea with 128 GB storage and 6 GB RAM. Samsung Galaxy S8 Plus., Versions: G955F (Europe, Global Single-SIM) G955FD (Global Dual-SIM) G955W (Canada) G955A (AT&T) G955P (Sprint) G955T (T-Mobile) G955V (Verizon) G955R4 (US Cellular) G955U (USA Unlocked) G955S/G955K/G955L (South Korea) G9550 (China). Available in India, China and Korea with 128 GB storage and 6 GB RAM. Samsung Galaxy S8 Plus., Versions: G955F (Europe, Global Single-SIM) G955FD (Global Dual-SIM) G955W (Canada) G955A (AT&T) G955P (Sprint) G955T (T-Mobile) G955V (Verizon) G955R4 (US Cellular) G955U (USA Unlocked) G955S/G955K/G955L (South Korea) G9550 (China). Available in India, China and Korea with 128 GB storage and 6 GB RAM. 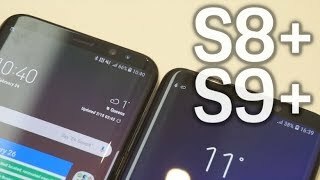 Samsung Galaxy S8 Plus., Versions: G955F (Europe, Global Single-SIM) G955FD (Global Dual-SIM) G955W (Canada) G955A (AT&T) G955P (Sprint) G955T (T-Mobile) G955V (Verizon) G955R4 (US Cellular) G955U (USA Unlocked) G955S/G955K/G955L (South Korea) G9550 (China). Available in India, China and Korea with 128 GB storage and 6 GB RAM. 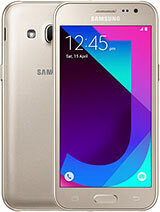 Samsung Galaxy S8 Plus., Versions: G955F (Europe, Global Single-SIM) G955FD (Global Dual-SIM) G955W (Canada) G955A (AT&T) G955P (Sprint) G955T (T-Mobile) G955V (Verizon) G955R4 (US Cellular) G955U (USA Unlocked) G955S/G955K/G955L (South Korea) G9550 (China). Available in India, China and Korea with 128 GB storage and 6 GB RAM. 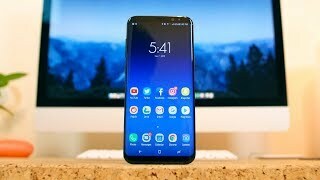 Samsung Galaxy S8 Plus., Versions: G955F (Europe, Global Single-SIM) G955FD (Global Dual-SIM) G955W (Canada) G955A (AT&T) G955P (Sprint) G955T (T-Mobile) G955V (Verizon) G955R4 (US Cellular) G955U (USA Unlocked) G955S/G955K/G955L (South Korea) G9550 (China). Available in India, China and Korea with 128 GB storage and 6 GB RAM. Samsung Galaxy S8 Plus., Versions: G955F (Europe, Global Single-SIM) G955FD (Global Dual-SIM) G955W (Canada) G955A (AT&T) G955P (Sprint) G955T (T-Mobile) G955V (Verizon) G955R4 (US Cellular) G955U (USA Unlocked) G955S/G955K/G955L (South Korea) G9550 (China). Available in India, China and Korea with 128 GB storage and 6 GB RAM. 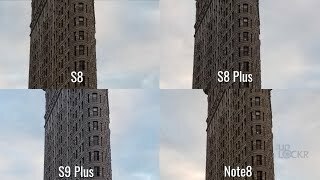 Samsung Galaxy S8 Plus. 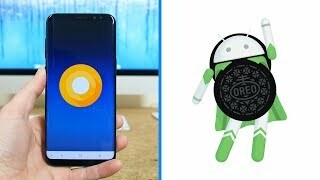 Samsung Galaxy S8+ is Candybar, Touchscreen Android Smartphone from Samsung which runs on Android OS, v7.0 (Nougat). 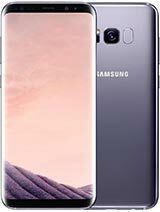 Samsung Galaxy S8+ is available in Midnight Black, Orchid Gray, Arctic Silver, Coral Blue, Maple Gold, Rose Pink colors and 173 g (6.10 oz) of weight. Samsung Galaxy S8+ has 6.2 inches Super AMOLED capacitive touchscreen display. 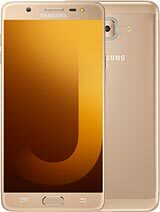 Samsung Galaxy S8+ is powered by Octa-core (4x2.3 GHz Mongoose M2 & 4x1.7 GHz Cortex-A53) EMEA, Octa-core (4x2.35 GHz Kryo & 4x1.9 GHz Kryo) USA & China CPU, Exynos 8895 (10 nm) EMEA, Qualcomm MSM8998 Snapdragon 835 (10 nm) USA & China Chipset and Mali-G71 MP20 EMEA, Adreno 540 USA & China GPU along with 128 GB Storage and 6 GB RAM or 64 GB Storage and 4 GB RAM. Additional features of Samsung Galaxy S8+ are Samsung Pay (Visa, MasterCard certified), IP68 dust/water proof (up to 1.5m for 30 mins), HDR10, 3D Touch (home button only), Always-on display, 32-bit/384kHz audio, Active noise cancellation with dedicated mic. Samsung Galaxy S8+ has GPRS, EDGE, 3G, WIFI, Bluetooth, GPS connectivity options on board. 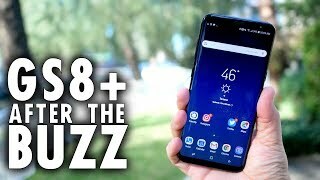 Samsung Galaxy S8+ After the Buzz: Like it never left! 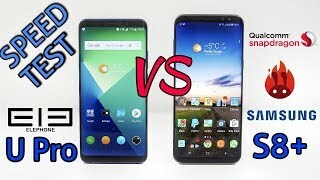 We are trying our best to provide you correct and updated information about Samsung Galaxy S8+ but we can not assure that all the details are absolutely correct on this page. If you find any mistake on this page then click here to inform us.